Share tips and experiences of PT Cipta Visi Sinar Kencana as the provider of machinery and enzymes for biodigester technology, pyroliser, composter, gasifier [Biophos_kkoGas], product catalog www.kencanaonline.com, with its long journey in managing waste, waste and biomass supporting bioindustry and sustainable bioenergy . 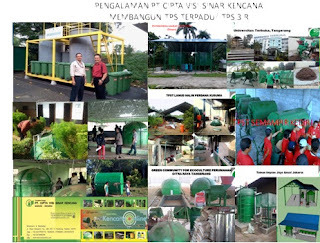 Achieving Zero Waste (Zero Waste) in PT Cipta Visi Sinar Kencana (CVSK) work environment including KencanaOnline Cafe & Eatery - Kece has lasted more than 5 (five) years, meaning we did not throw the garbage out . Plastic waste and dry waste are used as raw material for fuel oil, while organic so Biogas, Bio Elektrik and Fertilizer so the planting medium of various plants including aloe vera varietas chinensis. Beware do not be confused, if for food, not just any aloe vera you know. Our new product in the form of Fruit Juice and processed aloe vera has increased the amount of waste, in the form of skin and fruit pulp. So, almost certainly, the full 20 m3 digester capacity filled each day produces energy and growing media. From this slurry digester compost is the main ingredient of planting media which then produce leaves or aloe vera leaves to be processed so food. The results of Aloe vera have become a good product market. KECE healthy food products include syrup, jelly, candy, dodol and various nata de aloe. Besides products from aloe vera, there are 100% juice of citrus fruit juice, pineapple, apple, melon, guava and dragon fruit. Fruit cooking technique through the distillation as well as pasteurization, after preceded by fermentation, in addition to produce juice can last more than 2 (two) months without the slightest preservatives, also obtained the material of jam / jam from various types of good fruit. From the experience of establishing and managing Integrated Waste Management (TPST), which has been felt problematic with residual or compost, can now be included in the business partnership of Aloe vera production. 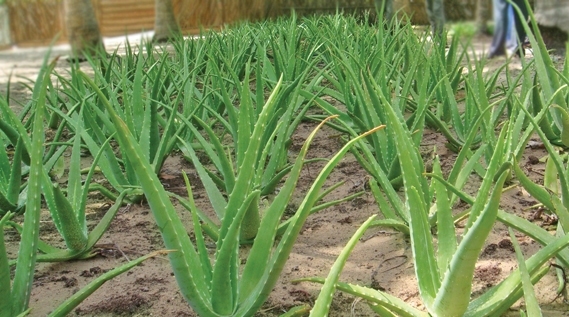 Large and extensive market share of processed aloe vera both for the food industry and medicine, need thousands of cultivation Ha in order to fulfill it. For customers of PT Cipta Visi Sinar Kencana, corporations, private companies owning garbage issues and government agencies related to municipal waste issues, have at least composting machines and biogas producer biogas capacity starting from 1 ton / day, can participate in cultivation partnership program until the sale of yield leaf. 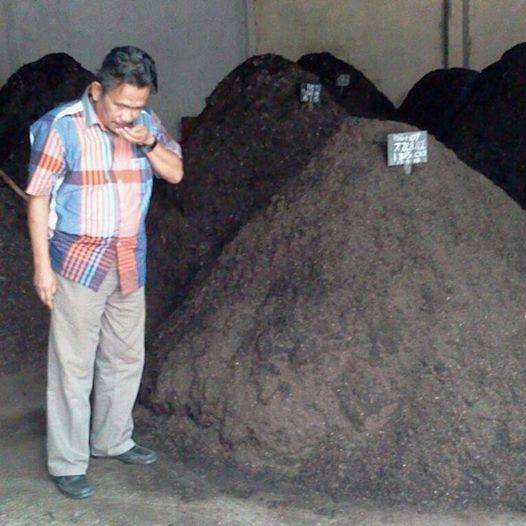 Each clump of aloe vera media requires 6 kg of compost, so that each composting machine for processing waste capacity of 1 ton / day (GK RK 1T, or GK RKE 1T, and ARK 1 T) and option 1 of different capacity Biodigester will have planting media for 100 clumps per day for planting in garden or pot. Each compost and biodigester machine of 1 ton / day capacity will produce 600kg of compost and from the smallest 10m3 biodigester will produce 350 liters sufficient for the supply of organic nutrients to 36,000 trees / year or 4 ha in the garden or 36,000 pots managed by households around the site integrated waste treatment plant (TPST) .. The type of jumbo aloe vera seedlings resulting from tissue culture of this chinensis variety will be large (leaf width greater than 3 cm, leaf length greater than 70 cm with a root depth of more than 30 cm) then, require large pots of 60 liters. If planted in the garden, with a spacing of 150 cm x 70 cm, the population will reach 7500 clumps / ha. There are so many choices out there that I'm totally overwhelmed ..
Hi, just wanted to tell you, I loved this article. It was practical. the views of all friends on the topic of this piece of writing, while I am also keen of getting knowledge. by chance, and I'm stunned why this coincidence didn't took place earlier! so it's good to read this blog, and I used to pay a visit this blog everyday. helps new web visitors, who are wishing for blogging. Green Phoskko® ( GP- 3 ) Compost ( 5 kg ) is the first quality compost with the content such as: NPK < 1.5% , C / N ratio < 20 %, moisture max 45 %, the content of Cr , Pb , Cu and Zn > 50 ppm combined with bacterial additive binding of N and P in amounts sufficient for solving the interests of colloidal bonding with other chemical nutrients in the soil. Form / appearance of products typically used for lawn or landscape plants, vegetable plants, food crops or plantation crops . (biogas purifier) ​​is intended for the effort to raise thermal efficiency of biogas, to be more qualified in its use as fuel in power generation (generator sets), substitute the more expensive premium gasoline and a source of energy to run electrical devices such modifications biogas lamps, cookers rice (rice cooker) biogas and other electronic devices. Purifiers biogas (methane purifier 24 150) made of stainless steel tubes, diameter 24 inch (30 cm) with a height of 150 cm, has a cylindrical medium (containing absorbent pellets 25 kg), has the strength to withstand the pressure of more than 10.5 bar, and a capacity purify the flow of up to 40 m3 / day of biogas digester generating results. This tool serves as a trapper (absorbers) of carbon dioxide (CO2), Hydrogen Sulfide (H2S) and water (H2O) to increase the composition of the total content of methane in the biogas. Electric Composter (Matic) Biophoskko ® KE-100L created to fulfill the wishes of the pehobies plants, flowers and environmentalists - who have a passion, concern and desire independently processed organic waste (ie, material derived from living plants, animals and humans) in order obtain compos. PLT Dimensions (Length x Width x Height) KE-100L Electrical Composter This is = 55 cm x 55 cm x 85 cm (can be loaded 90 Units / Container 20 feet). Biophosko® Composter (Rotary Klin RKE-1000L) with the dimensions [height= 180 cm, width= 165 cm, length= 280 cm and 750 kg weight] made of metal and fiber resin, motor engine 3 House Power (HP) and others aeration tools. Biophosko® Rotary Klin Type RKE-1000L is a perfect solution to overcome communal trash problem at the city that dominated by organic trash such as traditional market trash, restaurant, hotel, and also domestic's trash that comes from households. Why Fertilizer should be Tablet Form ?